Have you considered working in Europe? You’ve nearly finished your degree, but haven’t had much time to think about what’s next. What are you going to do after graduation? Newspapers are full of horror stories about high youth unemployment levels, countries nearly going bust, degrees not worth anything anymore, a lost generation, etc. Doom and gloom galore. Or is it? Not really. The media has a habit of painting a very bleak picture. When you look beyond the horror stories you’ll discover that there is a huge demand for graduates, not only at home in the UK, but also abroad – in Europe and beyond. Most European societies are ageing so there are increasing opportunities for people willing to look further afield. One of the biggest benefits of European integration is that it’s relatively easy to find a job in Europe. People often have a real misunderstanding of what it takes to move into Europe for work. You often hear the same things: I don’t speak the language, the red tape is overwhelming, will they recognise my degree, how do I go about finding a place to live. But these barriers are often more perceived, than real. Firstly, you need to find a job that you’re interested in. There are plenty of sites where you can search for jobs in Europe: Eures, the EU’s equivalent of Jobcentre Plus, Eurojobs.com, Europe’s biggest pan-European job site, or EuroBrussels for jobs in and around the European Parliament. Make sure you apply using the correct CV format. As with everything in Europe, even CV formats are becoming standardised, but it can make your life easier as they’re pre-formatted and will help you select the required information. Be succinct, don’t embellish your achievements and do check for spelling and grammar mistakes. It’s also worth checking the CV and cover letter guides in Going Global – even though fewer countries are included – there’s some useful contextual information. Speaking the local language is often not a problem when you’re applying and vacancies are frequently advertised in English. Many international companies with offices all over Europe use English as their “lingua franca”, as their employees often come from a variety of countries. Speaking English as your mother tongue is often seen as an asset outside the UK. However, it does help if you speak a little of the local language. Locals do appreciate it when you make the effort to speak their language – if only to start the conversation, but don’t be surprised if they then switch to English. Unless, of course, you are fluent! The EU has made this easier now. If you’re a European Union passport holder you can work anywhere in the EU without having to get a work permit. If you’re from outside the EU it’ll be a lot more difficult, but there is a European student scheme which allows Canadians, Australians, Americans and New Zealanders to work in Europe for up to two years after graduation. 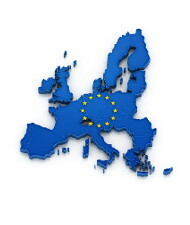 A number of EU countries have implemented this scheme, but each with slightly different requirements – check with the country’s embassy beforehand. Degree harmonisation is something the EU has been chipping away at for years now and this is finally trickling through. English degrees are generally recognised as being on a par with (or better than) ‘local’ degrees. There are, however, some degrees – especially medical ones – where you would have to sit a language exam before you’re allowed to practise. So there is nothing really stopping you from exploring Europe professionally. It’s a lot of fun, good for your CV, and will open up many more opportunities for you down the line. Harmen Rijks (BSc, MBA) is the Managing Director of Eurojobs.com, the oldest pan-European job site. Harmen is a trilingual Dutch national and has recruited, worked and lived in a number of European Countries. He currently lives in the UK and blogs regularly about European employment topics. Tags: Europe. Bookmark the permalink. Previous post ← Can you blog your way to a job?